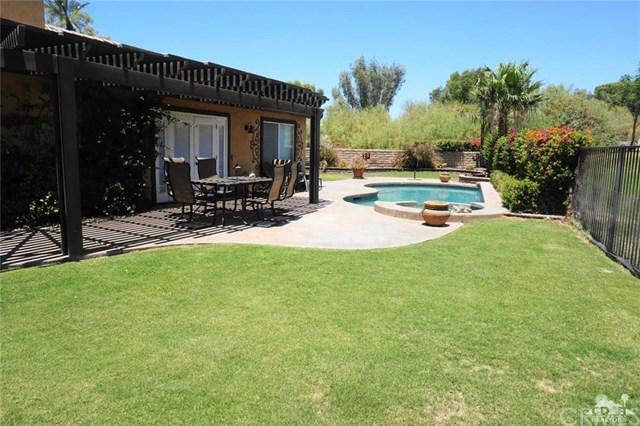 Furnished home on the golf course with private pool & spa in Indian Palms Country Club! 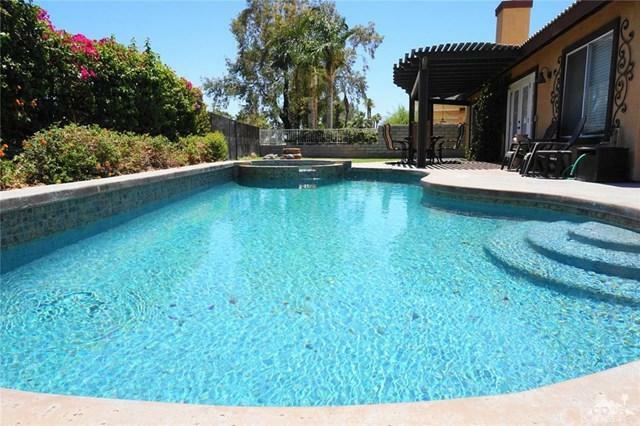 Features 4 bedrooms and 2 baths with a great room layout & fashionably decorated. 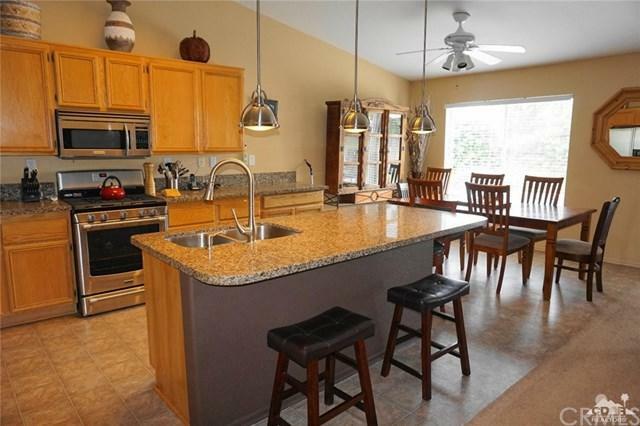 The bright & updated kitchen opens up to the great room with leather sofas, flat screen TV with Blueray & stereo system. French doors open to the backyard. Lounge in the sun or relax under the pergola and BBQ dinner. The fully enclosed backyard on the golf course allows for privacy while maintaining an open feel. The master retreat includes a king size bed with private bath, work area with desk, and sliding glass door to rear patio. Guest bedrooms consist of a queen bed, 2 twin beds, and the 4th bedroom functions as a den with a (upgraded) queen size sofa bed and desk. Guest will enjoy unlimited use of wireless Internet, free local calling, affordable golf and so much more. Indian Palms offers reasonable golf rates, restaurant & boutique hotel. Available winter season $3700/month or $2700/month summer season. Inclusions Gardener & Pool Service. Listing provided courtesy of Tina Saporito of Ronald Christopher & Assoc.